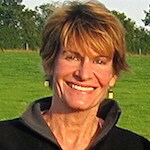 Kim Wilson is a co-founder of Lean Research – jointly organized by faculty and researchers at the D-Lab at the Massachusetts Institute of Technology, The Fletcher School of Law and Diplomacy, Root Capital, and the Feinstein International Center at the Friedman School of Nutrition Science and Policy at Tufts University. Wilson also lectures at The Fletcher School of Law and Diplomacy, where she teaches several courses on markets and development. Prior to joining Fletcher, Wilson directed the global microfinance operation for Catholic Relief Services (CRS). She then assumed the position of program director for all of CRS programming in South Asia. Based in Calcutta, India, she worked with watershed management, agriculture, education, and microfinance programs throughout India, Sri Lanka, Afghanistan, Nepal, and Pakistan. At Tufts, Wilson is senior fellow for the The Council on Emerging Market Enterprises (CEME) | Tufts Fletcher School and a visiting fellow for the Feinstein International Center. She won the James L. Paddock For Excellence in Teaching in 2009. She is also academic director of the The Fletcher School Leadership Program for Financial Inclusion, a nine-month fellowship funded by the Bill & Melinda Gates Foundation. In October of 2015, she joined the board of The Hitachi Center for International Affairs at Fletcher. Whether research unfolds in Harvard Square or a remote village, in our home communities or in a context with which we are newly familiar, we hope to question our assumptions on agency, power, risk, and vulnerability. In this post, the authors focus on making informed consent a truly meaningful process, particularly when conducting research in vulnerable settings.